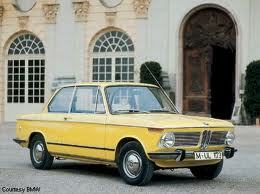 The car I wanted...a vintage BMW 2002. 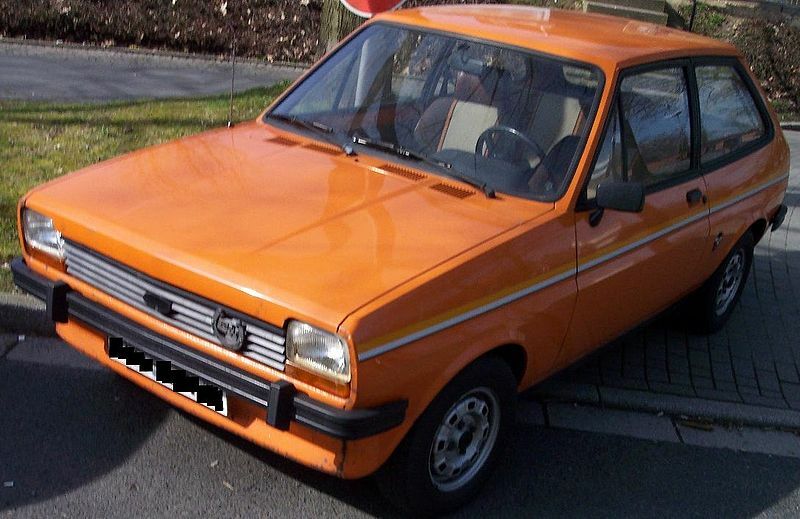 The car I could afford...a 1978 Ford Fiesta, Hatchback. Time has a tendency to wash away certain memories (thankfully), but I can still remember my firsts: First kiss, first fight, first boyfriend, first time, first heartbreak, first tattoo, first arrest (just kidding). These memories are a little foggy now, but I’ll never forget my first car. Some people can remember their lives very early on; my nephew says he remembers when he was born! I think my life really began when I turned seventeen. I graduated from High School via night school, I started wearing make-up (hooray for lipstick! ), I had a true best friend (Baby Dog) and I got my first full-time job at Pier 1 Imports in Oakland’s Jack London Square. I was ready to start living my life. The next step was to buy my first car. Over the years I’d already mastered the bus, BART, Amtrak, SF Muni, Cable Cars, and my mom’s 1981 Toyota Corolla – strictly used to pick-up groceries or to clean the doctor’s offices (another story for another day). But more than anything, I wanted to get out of town on my own, with my dog, in my own car. I wanted to see the world (or at least the Bay Area) without having to rely on people to take me where I wanted to go…and I wanted to park in the “staff only” parking lot at work. Almost every one of my friends got jobs after graduation. I think two enrolled in community college and zero went away to university. We all worked for a living, at Croll’s Pizza, Walden Books, Burger King, or Ross. Nobody thought any differently, because we were all taught to be laborers, not rocket scientists. And none of us expected our parents to buy our first car for HS graduation or for our 18th birthday like they do in the movies. Nope, if you wanted a car you had to save up and buy one yourself. It took me nine months to save $800 working for Pier 1. I called my brother the day I found a car in the classifieds and asked if he would accompany me to Angel Island, where a retired naval officer was ready to sell me his 1976 Ford Fiesta Hatchback, new condition with low miles for $900 – “firm.” He’ll forfeit the extra hunski as soon as he sees my winning smile, I thought. I used to dream that my first car would be a vintage BMW called the 2002. There was an orange one parked on the other side of Alameda, where the “rich” people lived that I would pass by to and from cleaning the offices at night. I wanted that car so much that I used to park across the street and just look at it. I would fantasize about the wonderful places I would go and how fabulous I would look. The sign in the window read $4,000. After working for three months at Pier 1 I was promoted to Assistant Manger, making $5.50/hr from $4.25 and I saw the reality of my situation. It would take me YEARS to save for that car. Yes, it hurt as reality can, but I took it on the chin and moved on. My brother’s wife had a Ford Fiesta, and I suppose I admired her because she was my brother’s wife and four years older than me. I remember hearing Anne Shirley say, “Imitation is the sincerest form of flattery.” It would be a romantic gesture. In truth, I was ready to buy anything….